Chief rabbi of Bayonne, France; born in 1817 at Dürkheim, Bavaria; died in 1887; cousin of David Marx. On completing his studies at the Ecole Centrale Rabbinique at Metz, he became director of the Ecole Religieuse Israélite at Nancy and assistant to the chief rabbi of that city. In 1843 he was appointed rabbi of Saint-Esprit and Bayonne, becoming chief rabbi three years later. 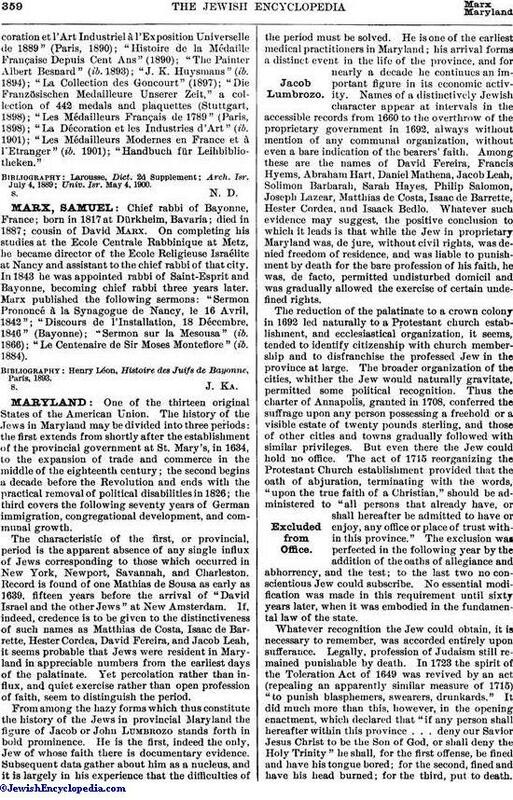 Marx published the following sermons: "Sermon Prononcé à la Synagogue de Nancy, le 16 Avril, 1842"; "Discours de l'Installation, 18 Décembre, 1846" (Bayonne); "Sermon sur la Mesousa" (ib. 1866); "Le Centenaire de Sir Moses Montefiore" (ib. 1884). Henry Léon, Histoire des Juifs de Bayonne, Paris, 1893.